I recently watched the movie, Love Story starring Ali MacGraw and Ryan O'Neal and I'm completely inspired by Ali MacGraw's character Jennifer. 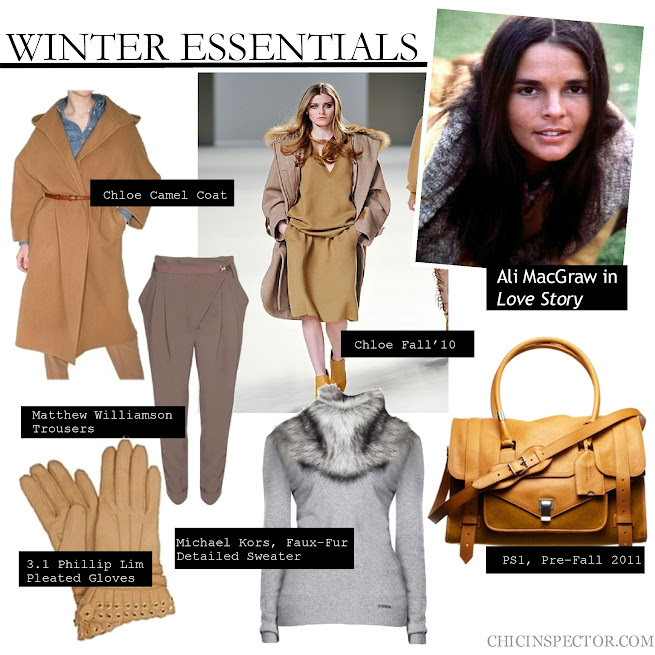 Currently I'm a little miserable with this snowy and wet weather but watching this movie Ali MacGraw really did look chic in her winter outfits hroughout the movie. So I have decided not to be so bum about this winter and embraced this weather with some basic inspirational pieces and accessories.